Studies have shown that in industrialized countries approximately 40% of the population snore. The percentage increases to 60% with men over the age of 60. Snoring is generated when soft tissue and muscles in the throat vibrates. REM (rapid eye movement) is a stage of sleep when all muscles are totally relaxed except the eyelids and diaphram are still functioning. During REM sleep, muscle tone in the throat and pharynx decreases. This causes a narrowing of the pharyngeal space, the required volume of air must be inspired at a higher velocity and noisy vibration (snoring) of soft tissues, such as the velum palatinum (soft palate) and the uvulum, occurs. OSA can be dangerous, causing not only sleepiness during the day but also various other serious diseases. This form of respiratory arrest lasts at least 10 seconds (or longer), before the patient resumes breathing in an explosion-like and noise generating event. This may occur many times during an hour. OSA is a common disorder. Obstructive Sleep Apnea (OSA) is defined as a respiratory arrest caused by restriction of the airways. Hypopnea is a reduction in respiratory volumes during sleep. The severity is assessed using the apnea index. An index up to 10 is considered normal, 10 – 20 is moderate and 20 or higher is severe sleep apnea. To diagnose OSA, the patient should answer a questioner (Epworth Sleep Scale) which will indicate if apnea is present and the severity of the apnea. The answers will indicate whether the patient should be treated by means of an Oral Appliance or have a polysomnograph (PSG) to test for apnea and its severity. A home testing portable monitor (PM can also be used to see if a CPAP machine is required. Depending on the length of time the patient hold their breath, and how many respiratory events (apneas, hypopneas or respiratory effort related arousals) occur during the sleeping night, the severity of the OSA is calculated (AHI) and the treatment formulated. OSA is now recognized as a major illness and an important cause of medical morbidity and mortality affecting millions of people worldwide. OSA is a predisposing factor for a host of medical conditions. Hypertension Stroke Cardiovascular disease Diabetes type 2. Loss of Libido and Kidney related problems, are but a few of the conditions. 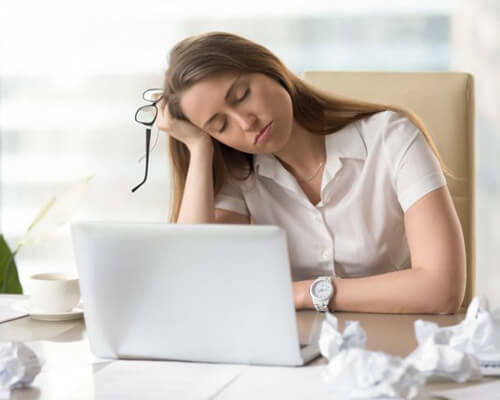 According to the Institute of Medicine (USA) Excessive Daytime Sleepiness costs $150 billion annually in lost productivity and mishaps. Another $48 billion in medical costs related to motor vehicle accidents that involve drowsy drivers. In the USA 20% of all serious car accidents are associated with daytime sleepiness, independent of alcohol. Operating heavy machinery is therefore dangerous. The treatment of mild to moderate apnea (i.e. RDI or AHI- Apnea-hypopnea Index – of up to 30) can be successful by means of an Oral Appliance. This treatment has been recognized and recommended by the American Academy of Sleep Medicine, and the American Academy of Dental Sleep Medicine (AADSM) as well as the FDA (Food and Drug Administration). Severe cases of Sleep Apnea should be treated by the use of a CPAP machine. However one of the major problems is the compliance of the patient wearing the mask. The AADSM states that upto 50% of patients are noncompliant and do not wear their cpap. If there is no compliance and the mask not worn, then an Oral Appliance should be constructed as it is too dangerous to be without any treatment. Polysomnograph readings before and after wearing an Oral Appliance has shown great success in lowering the AHI extensively. Dental sleep medicine focuses on managing snoring and sleep apnea with an oral appliance therapy (OAT). Thanks to Silensor for use of material and pictures. A.H. and I.K.Friedlander British Dental Journal July 22, 2000. Clarck Glenn CDA J. 1996. *Certain factors play a role on the effect of stopping snoring and apnea and should be addressed to receive effective results. Alcohol, there must be a 3 hour break between the last drink and going to sleep. The above all play a role in the incidence of snoring and apnea and if possible be stopped or reduced. The Snore Clinic fit a unique oral appliance, which is proven to reduce snoring at 90%.